Gives you a precision shave in one clean stroke. Makes shaving easy around every contour of your face. Ready to shape and style your beard and sideburns. 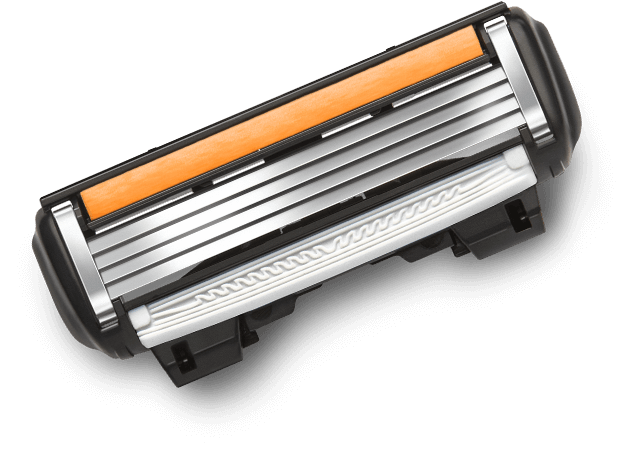 So your razor and refill cartridges are easy to clean and rinse. massages your face and raises hair follicles for a close, smooth shave. Gives you full control for a comfortable shave. Prepares your hair for a close shave. Calendula extract soothes dry skin and helps heal any irritation after a shaving. Argan oil moisturises and nourishes sensitive skin. Guarantees a precision shave in a single stroke. Massages your face and raises hair follicles for a closer, smoother shave. Whatever your skin type and shaving style, we've designed the PACE 4 to be easy to get on with. Precision blades and a range of innovative features bring you comfort and control with every shave. If you feel it’s time for a change, your razor handle fits all our refill cartridges. So when you want to discover how, PACE 4 or PACE 6 Plus performs, all you need is the refill cartridges. We are secured by 128 bit SSL making your shopping on ShaveBox secure.